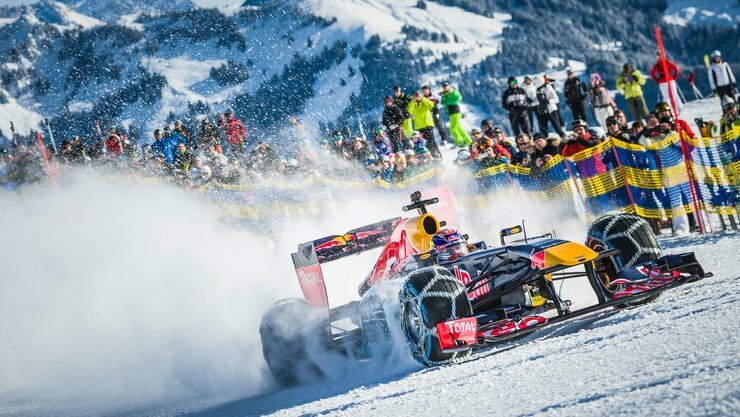 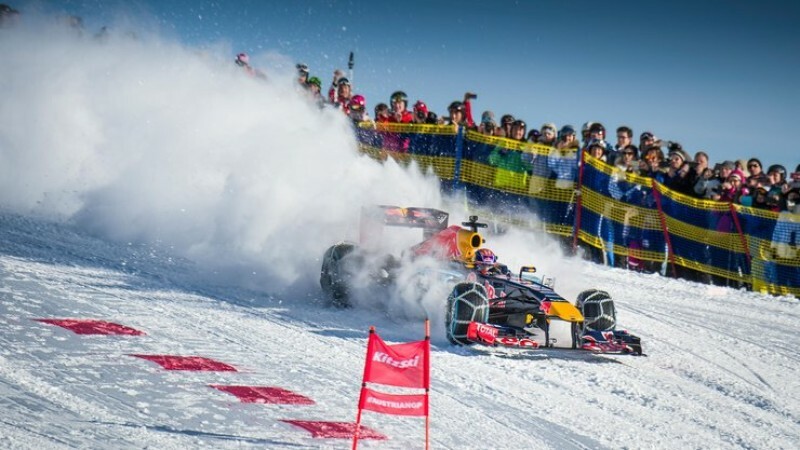 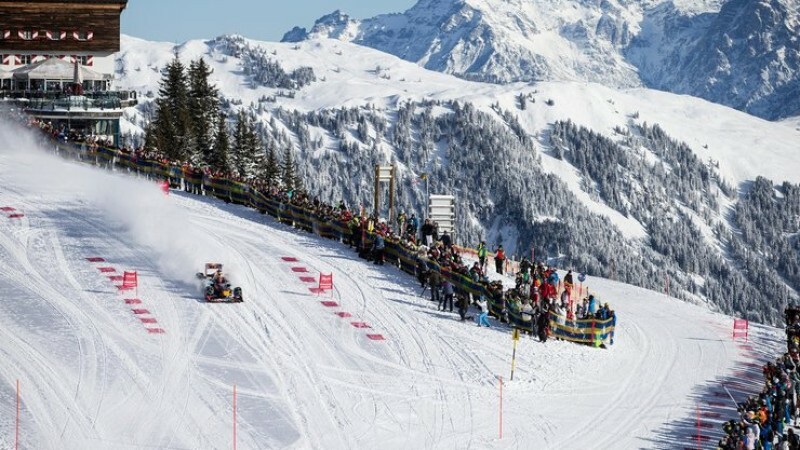 The Infiniti Red Bull Formula One team made more news on the mountain at Kitzbühel this week then they did in the entire season last year. 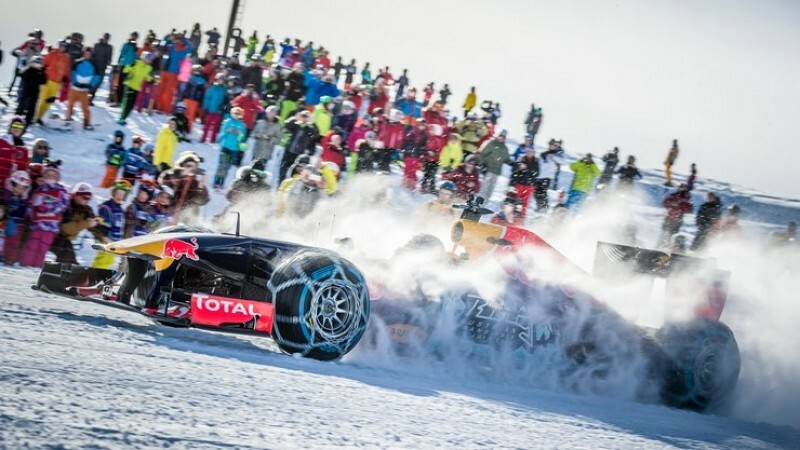 Continuing their tradition of driving their cars in unlikely places, they tuned the engine for cold temperature operation, raised the ride height a bit and added Pirelli F1 rain tires fitted with custom-made chains and headed for one of the world’s most famous downhill ski circuits. 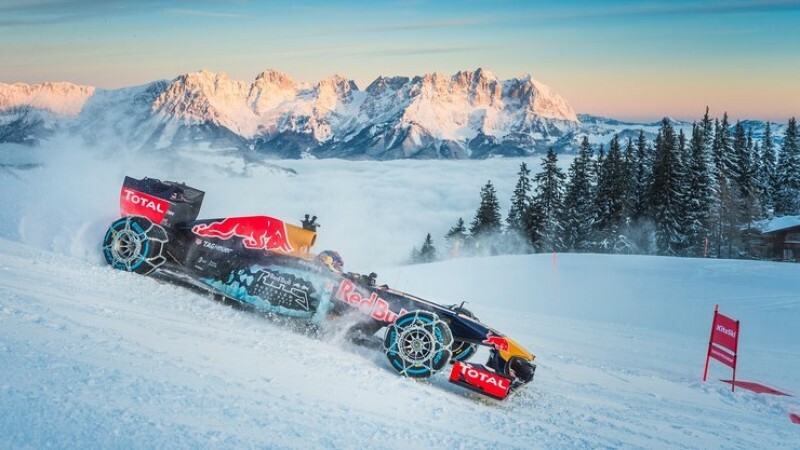 With no way to tow the car to the top of the swiss alps, it had to be lifted via helicopter to a garage area for snow vehicles, where final preparations were made to the RB7 racer. 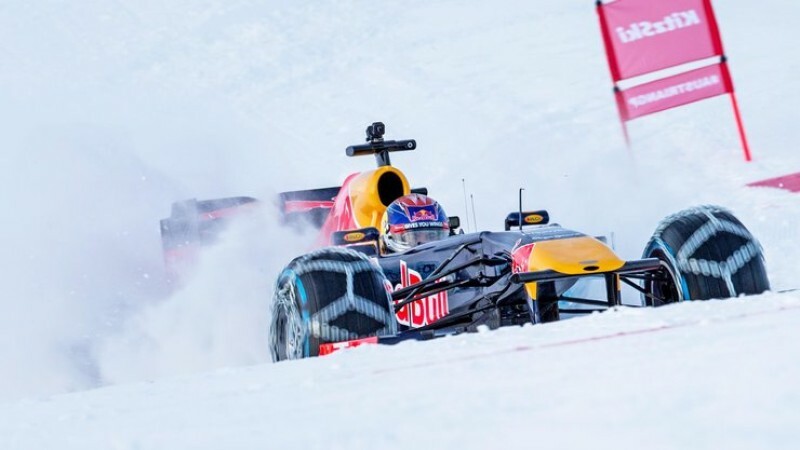 Toro Rosso driver Max Verstappen was chosen to make the drive, which was interesting in itself as he freely admitted, “I’d never driven any kind of car on snow or ice, never mind a Formula One car.” So this would certainly be a challenge. 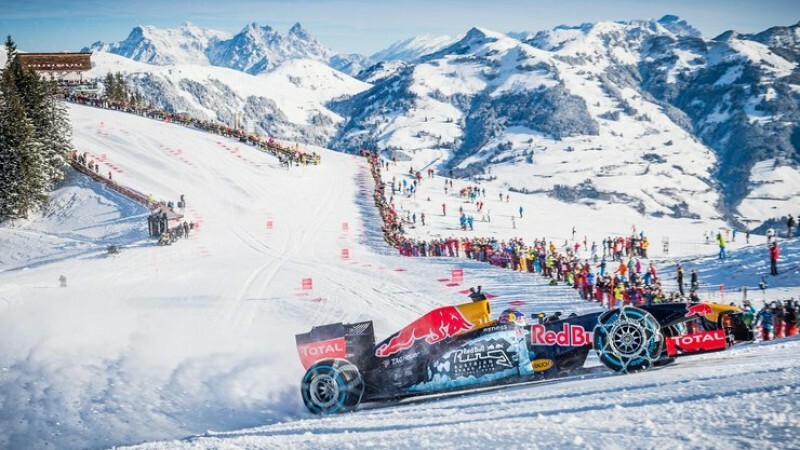 As much fun as this was to watch, we look forward to Infiniti Red Bull Racing returning to competitive for in the coming year. 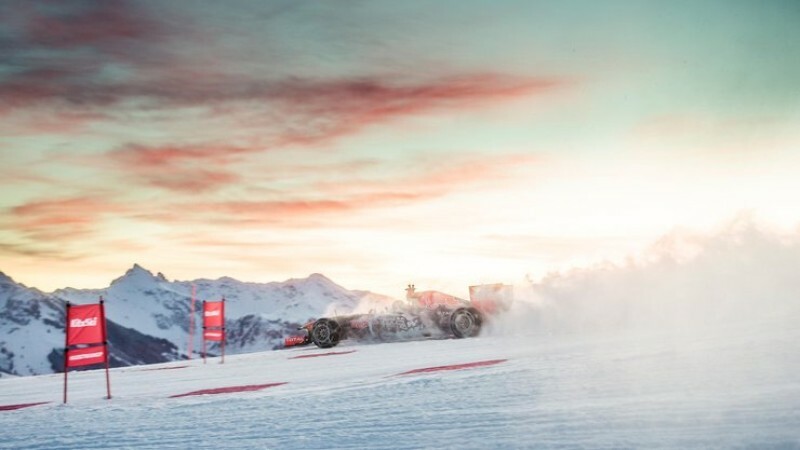 It’ll be nice to see someone challenge the Mercedes Silver Arrows for dominance on the F1 track in 2016.